Just in time for the holidays, more than 13,000 people received a new reason to hope that their asbestos claims finally will be heard. On Monday, the Baltimore City Circuit Court Judge John M. Glynn, who handles asbestos claims, held a hearing about a plan to finally resolve thousands of claims. Glynn is considering a proposal to consolidate cases on Baltimore’s inactive docket. Under the proposal, the court would start with 15 test cases to help establish links between asbestos and various health problems. The information would be used to help group cases that are currently inactive. For some plaintiffs who have waited years for their day in court, just a glimmer of that possibility is good news. Maryland long has been a hotbed for asbestos exposure, in part because of its naturally occurring asbestos deposits and its history of asbestos mines. In addition, some major industries that employed Maryland workers for years also earned reputations for causing asbestos exposure. Baltimore, in particular, is home to thousands of people who work in occupations with high asbestos exposure risks. These include shipyard, steel mill, power plant and construction workers. Charm City has also been home to manufacturers of asbestos containing products, including Mergenthaler Linotype Company and Porter Hayden. 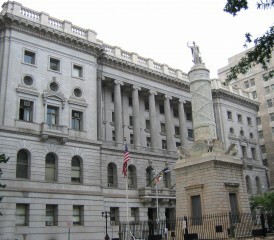 Over the years, a combination of widespread asbestos use and negligence by manufacturers and employers produced a massive amount of asbestos claims for the Baltimore court. In fact, the city’s asbestos docket grew so large that it established a two track system for handling asbestos claim. In 1992, Baltimore created an inactive docket for claimants who may have been exposed to asbestos, but didn’t show symptoms of asbestos-related diseases when they filed. The sickest plaintiffs go on the active docket and are first in line to reach trial. Courts in other states, like New York and Pennsylvania, and cities, like Boston and Chicago, have adopted similar approaches. They require asbestos claimants to show evidence of physical impairment before they can proceed with their cases. But what happens to claimants on the inactive docket who get sicker? Apparently, they continue waiting. At Monday’s hearing, Angelos proposed consolidating their cases in groups for faster case processing. Under the proposal, the court would use 15 test cases to help establish links between asbestos and various health problems. Supporters believe this would help the court group together similar cases and begin chipping away larger chunks of the inactive docket. Currently, only one or two cases from Baltimore’s inactive docket go to trial each year. Although the proposal doesn’t mention specific defendants, the usual suspects of legal reform advocates and asbestos defendants oppose the consolidation proposal. Once again, they’ve pulled out the usual set of criticisms. But there’s a larger concern here: It’s about people who’ve been exposed to asbestos and are getting sicker as they await their day in court. We can’t let concerns about attorneys’ fees and corporate profits prevent us from taking an honest look at a plan that may finally resolve their claims and get them needed compensation. And the court doesn’t necessarily want the inactive docket to languish or grow larger. Do you have a legal question for me? Let me know in the comments below or on Facebook.